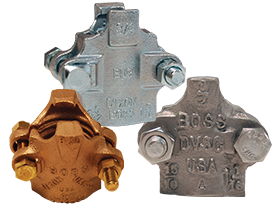 AA1HST-NX - SOS Safety International Inc.
LDH Hardware is produced from lightweight aluminum alloy and is hardcoat anodized and powder coated for years of rugged reliability. All adapters and elbows are available in all configurations of male and female threads, as well as rocker, long handle or Storz couplings. 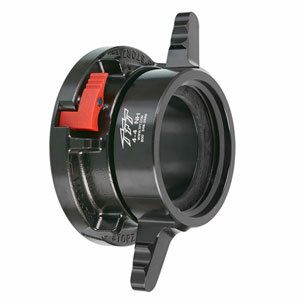 4″, 5″, and 6″ Storz caps are also available for all Storz couplings. LDH Hardware also includes TFT’s exclusive detent swiveling elbow product line. 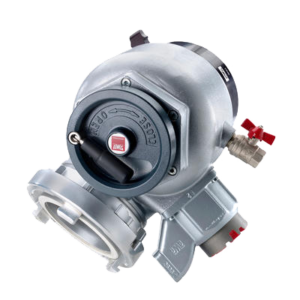 Designed for any apparatus inlet, this unique 30° elbow allows either full time swivel to prevent unwanted supply line kinking, or any detent position can be chosen. All LDH components use the exclusive polymer ring attachment system preventing unwanted corrosion due to galvanic action. 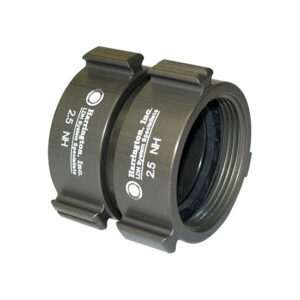 LDH Hardware include TFT’s high flowing wyes and clappered Siamese models. The clappered Siamese allows multiple supply lines to be used for water supply to an apparatus and the wye is ideal for splitting water supply to two apparatus intakes. Both series are available with your choice of couplings, are powder coated to resist corrosion, have integrated carrying handles and are hydrostatically rated to 900 psi test pressure.